Shannen Doherty’s Breast Cancer Journey with Dr. Orringer in Beverly Hills | Jay S. Orringer, M.D., F.A.C.S. Her fight against breast cancer continues. Shannen Doherty shared a video from her reconstructive surgeon’s office on Thursday, November 17, as well as a photo from her first radiation appointment on Friday, November 18. Shannen Doherty has been sharing her breast cancer journey on social media since going public with her diagnosis in August of last year, and on Thursday she updated her followers with the next steps in her treatment process. Shannen shared a video from her visit to her to our office, where she is getting her tissue expander expanded in preparation for radiation. Shannen Doherty continues to be so brave amid her breast cancer battle! Leaving fans with a new Instagram update on Thursday, the actress shared a clip of her meeting with Beverly Hills reconstructive surgeon Dr. Jay Orringer before she starts up radiation. The Beverly Hills, 90210 alum took to Instagram on Thursday to share a video from her doctor's office, where she thanked her surgeon, Dr. Jay Orringer, and wrote, " I consider myself very lucky and very blessed to have this man as my doctor." Shannen Doherty is giving fans another glimpse into her fight against breast cancer. On Thursday, the 45-year-old actress shared a video during a visit to her reconstructive surgeon’s office in preparation for her radiation treatment. “This is Dr. Jay Orringer, who is my reconstructive surgeon and my friend,” Doherty explained on Instagram. Shannen Doherty was honored with the American Cancer Society’s Courage Award at the Inaugural Giants of Science Gala at the Four Seasons Los Angeles at Beverly Hills. Dr. Jay Orringer was by her side to support her on her journey through breast cancer and celebrate the recognition of her bravery. Read more about Shannen accepting her award. Actress and Hollywood producer, Shannen Doherty has shared nearly every step of her struggle with cancer with the public. That includes details about her breast reconstruction with Dr. Jay Orringer. Learn more about Shannen’s journey. 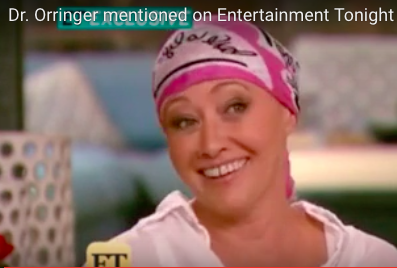 In a candid interview with Entertainment Tonight, Shannen Doherty discusses her decision to share her experience with breast cancer with the world—from her very personal photos of shaving her hair after chemotherapy treatments to waking up from surgery to a surprise from Dr. Orringer. Watch the video of Shannen’s story. 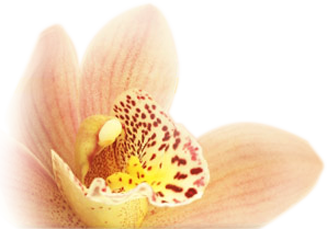 Dr. Orringer understands that breast reconstruction is an important aspect of any woman’s journey through breast cancer. If you have been diagnosed with breast cancer and would like to learn more about your breast reconstruction options, please call 310-273-1663 today to schedule your consultation with Dr. Orringer. We welcome patients in Beverly Hills, Los Angeles, Santa Monica and Hollywood, California, nationally, and internationally.